A keyboard breaker, that’s how I would call Hotline Miami. A game that makes me want to smash my keyboard against a wall and after 5 minutes pick it up again and give it another shot (after I put it back together). 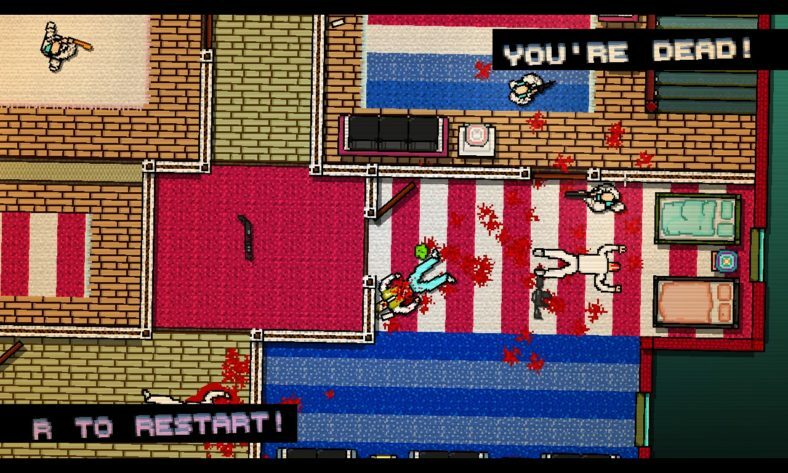 Hotline Miami is a top down, 16bit (or whatever bit) 80’s inspired hack & slash & shoot game.. I’m not sure that is the correct genre or a genre at all. What I do know is that the game is massively “indie” and it shines through in every aspect of the 5 hours it takes to finish the main story both in a positive and negative sense.